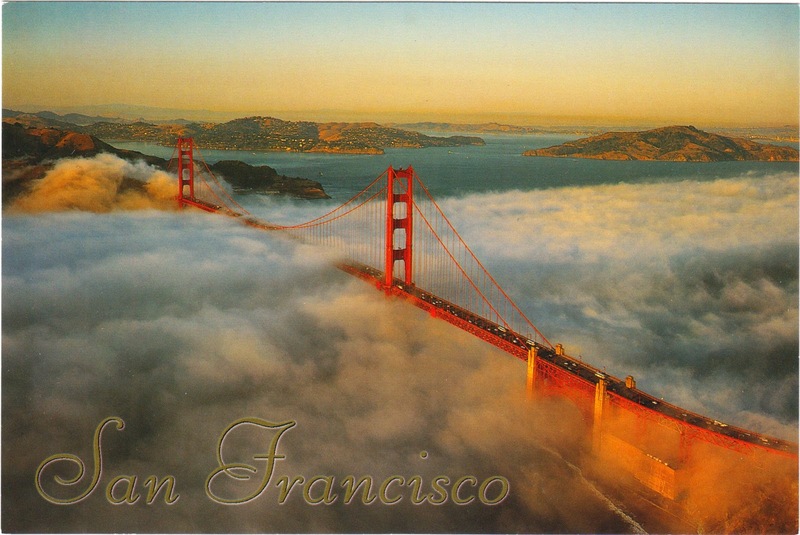 Outgoing postcard US-2849014 to Poland shows the iconic Golden Gate Bridge in San Francisco. The Golden Gate Bridge Highway and Transportation District's Board of Directors approved funding for a suicide barrier, a decades-long effort for the advocates, on the Golden Gate Bridge Friday, June 27, 2014. The 76-million-dollar project will install steel-cable nets 20 feet beneath the east and west edges of the bridge, with construction planned from 2015 to 2018. Once built, the barrier would deter people from jumping to their deaths or catch them in the nets if they have actually done so. At least 1,600 people have jumped to their deaths from the Golden Gate Bridge since it was completed in 1937, including a record high of 46 last year in 2013.